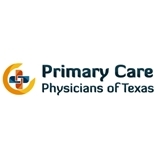 Primary Care Physicians of Texas, PA (Rowlett) - Book Appointment Online! She’s a Godsend. Very professional, intelligent, patient and kind. Absolutely LOVED her.....she was patient and caring & made sure all my needs were met. Wait time was non existence in & out.